The Love Center of Holmes County is a private 501 (c)(3) non-profit organization and all donations are tax-deductible. We are totally dependent on donations and grants for funding. Donations of Food: Food items can be dropped off at the Food Pantry on Monday, Wednesday & Friday from 10 am - 4 pm. (Take to the back of the building.) For larger donations, please call the pantry director to arrange for pick-up or special instructions. 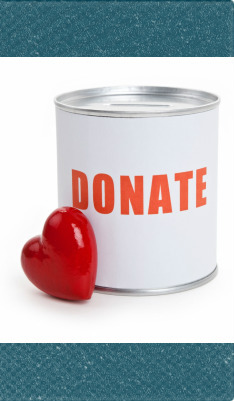 A Note About Donations: Monetary donations are most beneficial to the Food Pantry because we are able to purchase top quality food from the Akron-Canton Regional Food Bank at an average of .10 cents per pound; however, all donation types are accepted and appreciated.